Since 1994 through the inspiration of our late Patron, Peter Garthwaite OBE, we have supported foresters of all ages to travel to many countries to study aspects of forestry, or wood processing outside the UK. Some twenty years on many of these individuals remain in touch and are still putting their experiences to good use. Previous countries include the USA, Holland, Germany, Switzerland, Finland, Sweden, France, Croatia, Ireland, Latvia, Czech Republic, Greece, Denmark, Italy, Austria and Canada. The Trustees of Woodland Heritage continue to invite applications for bursaries to study an aspect of forestry or wood processing outside the UK. Applicants must either be forestry practitioners in the UK, or intending to become so after completing a forestry education. Preference will be given to those whose interests are in the production of high quality timber. Applications for support on compulsory tours (e.g. as part of a University group) will not be considered, nor will retrospective applications. Should be sent to Lewis Scott and should contain details of the proposed travel including costs and a brief (1 page maximum) CV. Applicants should also ask one independent referee to write separately and in confidence to Lewis Scott in support of their application. 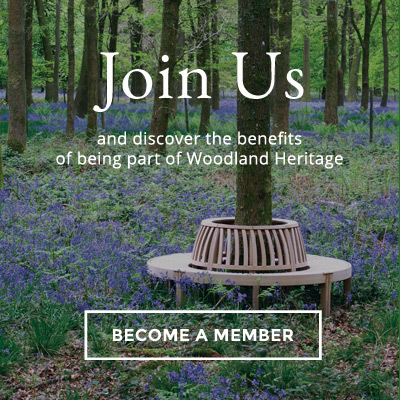 Successful applicants will be expected to produce a short article/report with photographs on their travel for publication in the Woodland Heritage Journal and/or website.